With the city’s warm temperature year-round, a flourishing arts and cultural scene, and award-winning beaches, it’s no surprise that U.S. News & World Report names Sarasota as the best place to live in Florida. 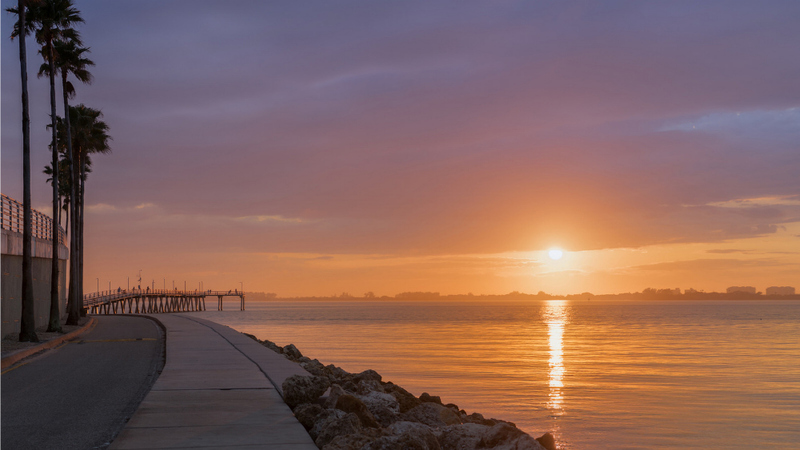 If you’ve lived in the city for some time and experienced firsthand its charm, beauty, and diversity, it’s not too difficult to convince you that Sarasota truly is one of the best places to call home. If you’re looking to sell your property to prospective buyers relocating from a different state, a bit of research can help you convince potential buyers to invest in a property in Sarasota. 1. Live the beach life every day. Sarasota’s beaches consistently rank on lists of the best beaches in the country, and for a good reason. One of the most preferred beach destinations in the Sarasota area is Siesta Key, one of the city’s barrier islands. Siesta Key, an eight-mile-long island that sits on top of the stunning Gulf of Mexico, is home to “the world’s finest, whitest sand.” As its sand is made of 99% quartz, it remains cool to the touch despite the scorching heat of the sun, making its shores a preferred spot for those looking to get a tan. Living on a beachfront property in Sarasota is like being on vacation forever. It means dining at well-loved breakfast spots at sunrise, frolicking on the shores during sun-drenched afternoons, and enjoying a view of the magnificent Florida sunsets in the evening. 2. It is a haven for art and culture lovers. While Sarasota is famous for its pristine white-sand beaches, sunny blue skies, and gorgeous tropical milieu of palm trees, this vibrant city also has a lot to offer arts, culture, and history lovers. Sarasota is dotted with theaters, historical attractions, and art galleries. It is touted as the Gulf Coast’s cultural hub. Its performing arts scene is just as exciting, with symphony, opera, ballet and other shows being held regularly in various venues throughout the city. This setting makes Sarasota the ideal space for artists and performers, both budding and experienced alike. 3. Wake up to beautiful weather every morning. For those who have lived under gray skies for most of their lives, Sarasota is indeed the ideal place to relocate. Relocating to Sarasota means waking up as the first rays of the sun creep through the window and enjoying the utter lack of biting cold and freezing temperature. 4. Choose from numerous charming communities. Sarasota is composed of diverse neighborhoods and villages. Every community in it and the surrounding communities has its distinct charm. Lakewood Ranch, for instance, boasts of top-of-the-line amenities and vibrant town centers, amidst acres of beautiful natural landscape. Nokomis, meanwhile, as Sarasota County’s oldest public beach, combines a tropical atmosphere with a charming vintage feel. Need more help selling your property? Shayla Twit, a trusted realtor based in Sarasota, goes the extra mile in helping her clients find the right buyer for their properties. She takes the stress out of selling your home as she handles every step, from creating the property’s portfolio to distributing it to high-traffic areas and more. Make selling your Sarasota home easy. Call Shayla Twit.